"I believe that this nation should commit itself to achieving the goal, before this decade is out, of landing a man on the Moon and returning him safely to the Earth." These words spoken by President John F. Kennedy in May 1961 changed the lives of twelve men who became known as "Moonwalkers." 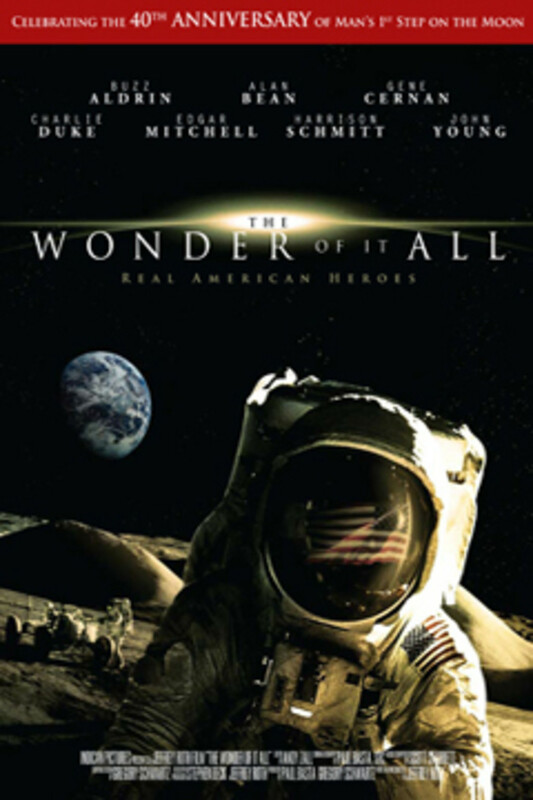 The Wonder of it All focuses on the rarely told human side of the men behind the Apollo missions through thoughtful and candid accounts from seven Moonwalkers. Astronauts Buzz Aldrin, Alan Bean, Edgar Mitchell, John Young, Charles Duke, Eugene Cernan and Harrison Schmitt intimately reflect on the training, the tragedies, the camaraderie and the effect their space travel has had on their families. The Wonder of it All honors the men who walked on the moon and became heroes to a nation. They fulfilled the dream of humankind to set foot on another world and, in so doing, forever changed the way we view ourselves. Regions are unavailable for this movie. Click the "Watch on Netflix" button to find out if The Wonder of It All is playing in your country.